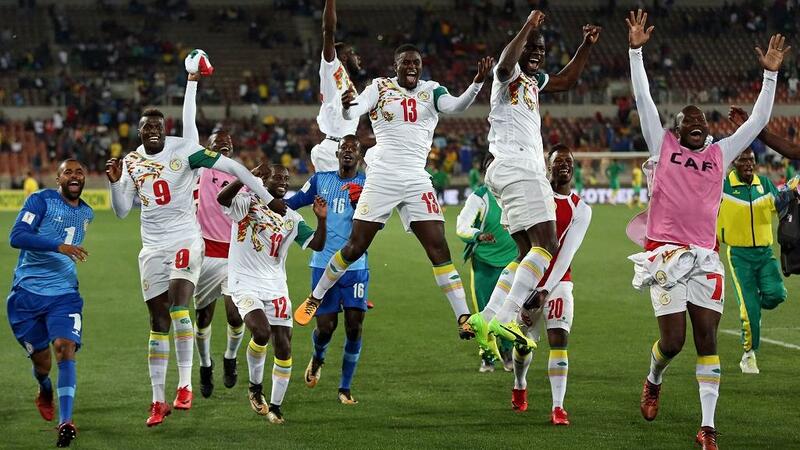 Senegal have qualified for the 2018 World Cup in Russia after securing a 2-0 away win over South Africa on Friday. The victory in Polokwane gave the “Teranga Lions” an unassailable lead at the top of Group D and with that their second appearance at the tournament. Senegal last competed at the World Cup in Japan and Korea 2002. In the tournament, they made all the headlines beating the then defending champions France in the group stages and going on to reach the quarter-finals. The particular game was a replay of an earlier match that FIFA cancelled because of a poor refering decision said to have affected the outcome. The cancelled fixture ended 2 – 1 in favour of South Africa. The two Senegalese goals were scored by Diafra Sakho on the 13th minute mark before a 38th minute own goal by Thamsanqa Mkhize sealed the result. The Lions came back from the break to hold on to their two-goal lead much to the disappointment of the home fans. Group D of the qualifiers involves Burkina Faso, Cape Verde and South Africa. The government of Senegal through President Macky Sall has congratulated the team for their feat. Senegal joins Nigeria and Egypt who have already qualified. On Saturday; Tunisia could qualify if they secure a point against Libya, whiles Morocco and Ivory Coast play for the fifth and final slot same day.